Students have to imaigne they are their favourite famous person and write about him/her. 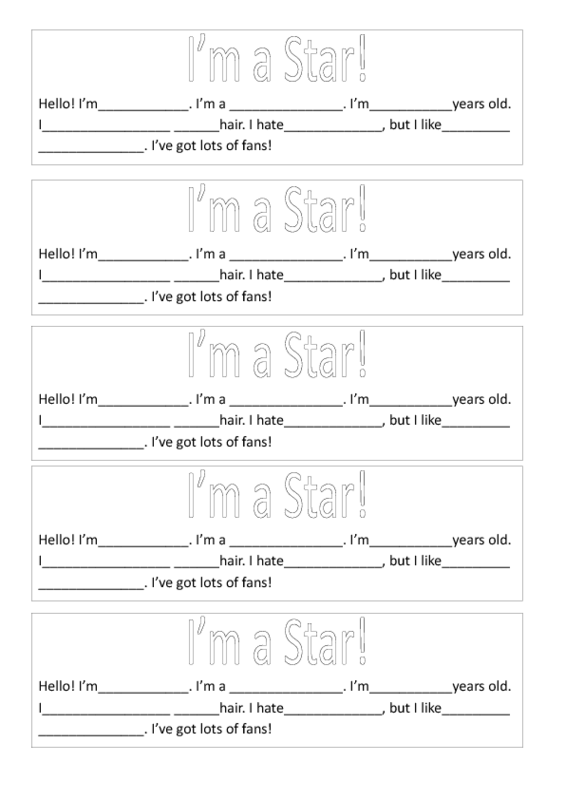 After completing the worksheet students have to introduce themselves as if they were that person. As a speaking activity, students can work in pairs and make a conversation between two famous people.